DETMAR blowers are reliable, efficient and have the highest capacity on the market. DETMAR raised the performance standards for in-line blowers by pioneering design features like its five-blade, bullet nosed impeller and cambered stator vanes. DETMAR blowers have the highest rated air capacity of any exisiting in-line blower. The 3" blower produces 158 CFM* - the 4" blower 240 CFM*. With DETMAR'S in-line design, this translates into higher system airflow under pressure for any hose, collector box or vent configuration. DETMAR blowers deliver their high-capacity at low amp draw. DETMAR'S specially designed five blade, bullet-nosed impeller and cambered stator vanes provide high pressure with a minimum of air turbulence. This reduces motor loading, maximizes efficiency and prolongs motor life. DETMAR blowers have a long, proven history of meeting the most rigorous field conditions. DETMAR blowers are designed, built and tested to high standards that include salt spray corrosion and humidity resistance, vibration and shock resistance, housing and impeller durability, low and high temperature performance, ignition protection, capacity, locked rotor and blocked inlet performance. Housing is molded of tough, corrosion-proof ABS plastic with rugged built in mounting brackets for easy installation and quieter operation. Molded tabs on all hose flanges provide positive hose connections. DETMAR can supply blower wire leads with two-way molded or custom connections for attachment to boat's wire harness. 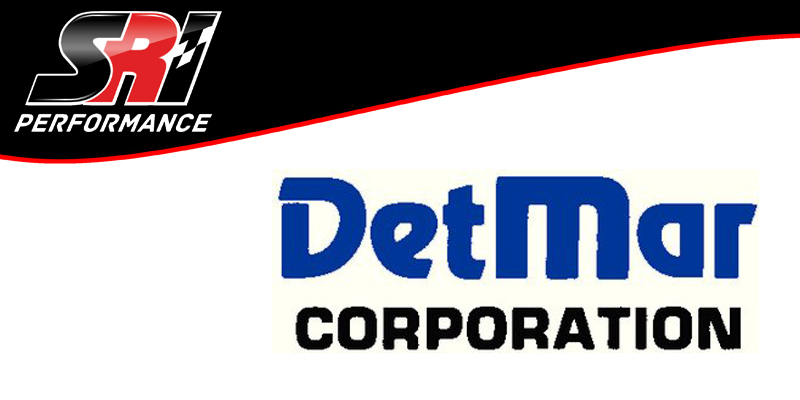 Contact your DETMAR representative for more information. Detmar 754 blower has a 3" intake and exhaust and flows 158 CFM making it nice for venting the cabin of a boat, or cooling the brakes on a race car. Detmar 754 Blower, In-Line 3 Inch Intake X 3 Inch Exhaust, 12 Volt. Detmar 751 blower has a 4" intake and exhaust and flows 240 CFM making it nice for venting the cabin of a boat, or cooling a brake system on a race car. Detmar 751 Blower, In-Line 4 Inch Intake X 4 Inch Exhaust, 12 Volt. 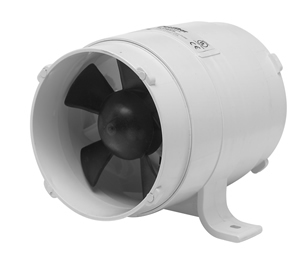 DetMar 4" Intake x 3" exhaust In-line blowers are great for a race car or marine application. Detmar 758 Blower, In-Line 4 Inch Intake X 3 Inch Exhaust, 12 Volt.